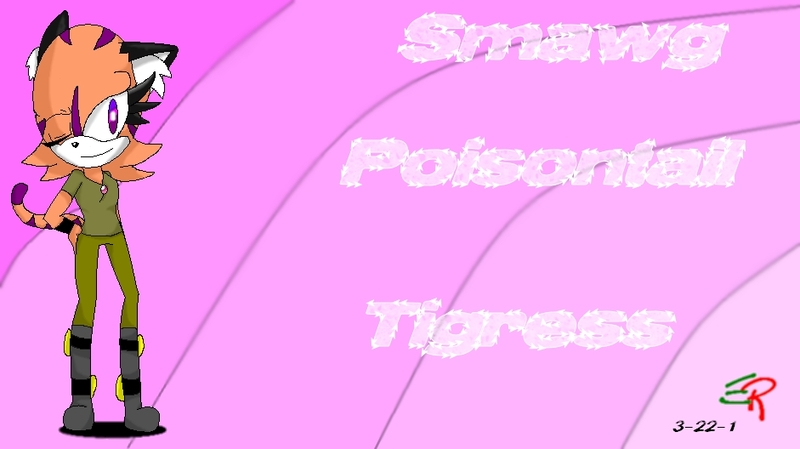 Smawg Poisontail ((TailsLover9 base)). My first try on a base.. HD Wallpaper and background images in the sonic bases club tagged: evolia’s digi art tailslover9 bases. It's definitely not her normal wear, nor is it her idea to wink and smile! 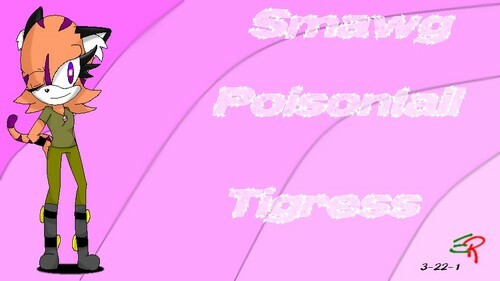 Smawg is my tigress character- also known as the twisted assassin. She likes to fulfill and love her victims before she kills them. Love as in give them their last kiss and hug before she shoves a knife in their windpipe. My Smawg is old fashioned like that. Seeing her now in this olive outfit with the little boots...tis very strange. But I needed a likely candidate for my base! Actually, it’s Tailslover9's base but you know what I mean. Thanks for letting me use, TL9- seeing how it’s my first base I found it fun to do actually- and a lot of work! Regardless, it was cool to see I could do something like this, even though compared to most artist I'm a likkle n00b. U MAD THAT?! that is good! i like it! You are not bad with a base yourself, Evolia. Hm, Smawg. Strange name for a tigress.